Discover the rich, and sometimes eerie, history of Savannah. Savannah repeatedly makes the top ten list for the most haunted city in America. It’s easy to understand why. 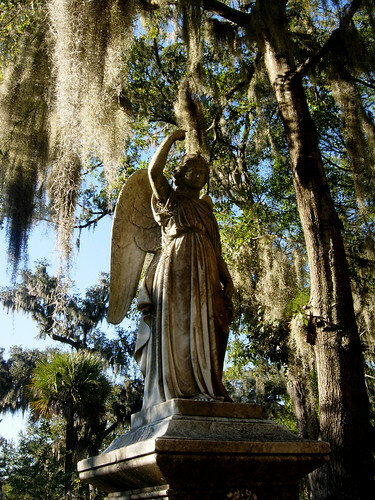 The city is filled with antebellum architecture and gothic mansions, cemeteries filled with funerary statues, and beautiful, eerie, hanging Spanish moss. Savannah also has a long, rich history. Ghost stories are bound to follow. Several companies in Savannah offer ghost tours: Blue Orb Tours, Sixth Sense Savannah, Ghosts & Gravestones. Tours leave after dark, and explore some of the more “haunted” areas of the historic district. These tours tend to be entertaining and informative. Our Savannah Vacation Homes are located in the historic district. Learn more about the area you’re staying in. Have fun, and remember to take everything you hear with a grain of salt.